It is amazing how fast times can change. Ten years ago, most Americans would not have imagined that marijuana would be legalized in several states. The majority of Americans would have been against the idea. In fact, it was almost impossible to get an initiative passed in most states just to legalize medical marijuana with permission from a doctor. There are varying reasons why people support legalization, just as there are varying reasons why some people oppose it. For me, it is a liberty issue. I believe people should be able to put whatever they want into their own body, so long as they are not harming others. If you don’t own your own body, then who does? But while I see it as an issue of liberty and morality, there is no question that legalization has its other benefits. Perhaps it is more accurate to say that keeping marijuana illegal has its consequences. We first must distinguish between advocating something versus opposing the illegality of something. I don’t think anyone should eat 10 Twinkies per day. You will feel bloated and it will be very detrimental to your health over the long term. But while I don’t support anyone’s decision to eat 10 Twinkies per day, I also don’t think it should be illegal. If someone is going to sit inside every day and get high on marijuana, I don’t advocate that at all. I also don’t advocate that someone sit inside all day and drink alcohol or smoke cigarettes or play video games. But this is about whether or not it should be against the law. It is a question of whether the police should bust down your door and arrest you for doing a peaceful activity. Some people oppose legalizing all drugs because they can be quite harmful. But how can they use this argument against marijuana, especially when comparing it to other things? Alcohol is far more dangerous and deadly than marijuana. Cigarettes are more harmful. Even eating sugar is more destructive to your health. If there were examples of people dying of overdosing on cannabis, the opponents of legalization would be showcasing them often. But I have never heard of a substantiated case where someone died directly from consuming a form of cannabis. If anything, the health benefits of marijuana actually outweigh any potential harm. Many sick people who have used marijuana say that it is the only drug that helps relieve nausea and does not cause significant side effects. From a constitutional standpoint, the federal war on drugs should not exist. The 9th and 10th Amendments say that those powers not enumerated in the Constitution are to be left to the states or the people. Since there are no provisions granting Congress the power to criminalize (or even regulate) drugs, it should be none of the business of the federal government. Therefore, it should be up to the states to determine what drugs are and aren’t legal. This is the way it is supposed to work. It is decentralization. It also gives us a better idea of what works and what doesn’t, as states choose different routes. We don’t need a one-size-fits-all policy for 320 million people. It is slightly encouraging that the federal government has at least restrained itself in not going after Colorado and Washington – at least yet. It is getting to the point where if more states legalize, or at least partially legalize, the use of marijuana, it will be more and more difficult – politically speaking – to stop the states. Right now, there are 23 states, plus the District of Columbia, where marijuana is legalized in some form – mostly for medical use. Along with the District of Columbia, there are 4 states where recreational use is legal or at least somewhat permitted. The four states are Colorado, Washington, Oregon, and Alaska. When taking everything into consideration, Colorado is probably the state closest to full legalization. Some people support legalization or partial legalization because it will mean that state governments can regulate it and tax it. This means increased tax collections for state governments. This would be one of the few downsides of marijuana legalization from my point of view. I don’t want the government to have even more money to spend. Even state governments already have way too much money to spend. So when you are talking about reasons for legalizing marijuana, this is one of the differences between a modern-day liberal and a libertarian. The libertarian wants legalization for liberty and property rights. The liberal wants legalization to get high on drugs and to increase government revenue to spend on welfare programs. Still, if increased tax collections get more politicians on board with the idea, then maybe the idea isn’t all bad. Some of the other state legislatures are looking at how much extra money Colorado is bringing in and they want a piece of the action. We have to consider all of the bad consequences of locking people up for smoking a joint. The illegality drives up prices and it brings in the drug gangs. A lot of the violent crime in our society is a direct result of the drug war. This was evident during alcohol prohibition. The crime rate skyrocketed. The bootleggers wanted alcohol to stay illegal because it was so profitable. After Prohibition was repealed, the violent crime went way down, even in the midst of the Great Depression. You don’t see the major beer companies having shootouts in back alleys. You don’t see SWAT teams breaking down doors in the middle of the night because a group of guys are drinking beer or taking shots of tequila. You don’t see people robbing banks so that they can get their latest fix of Budweiser or Jack Daniels. It is possible, but not likely. Even in states that have “legalized” marijuana, it is still not completely legal. It is basically legal to consume certain amounts. Federal law is still also causing problems in terms of companies not being able to use the banking system. Still, the U.S. has made significant strides over the last several years and I fully expect it to continue. 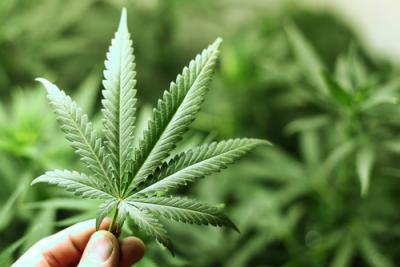 Marijuana is derived from a plant – cannabis. It is ridiculous that you cannot grow a certain type of plant in your backyard. Cannabis can be used for any number of things. It isn’t just for smoking. One of the more ridiculous – and protectionist – things done by the government is making hemp cultivation and use illegal in many circumstances. Therefore, we do not just want marijuana to be legalized. We want cannabis – the entire plant – to be legalized. After all, recreational drug use is just one of the many uses for cannabis. Hemp itself is used in products for oil, wax, food, clothing, paper, rope, and many other products. We should hope for continued steps in the right direction. Ultimately, cannabis should be fully legalized, whether it is to grow it, sell it, or consume it. As we move in this direction, we will get a small piece of liberty back. In addition, it may also present us with some unique investment opportunities as legitimate companies get into the cannabis business. Looking for a million-dollar investment opportunity? Look no further than marijuana edibles. Legalized cannabis will be one of the most lucrative markets of the 21st century. Dealing drugs legally has never been easier or more profitable.